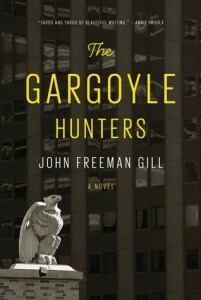 Longtime New York Times contributor John Freeman Gill’s first novel, The Gargoyle Hunters, falls in the category of the New York novel, the city on some level not just setting but character. In this instance, that character is portrayed largely through its buildings—the architecture that seems at once to be the city’s spine and muscle, skin and limbs; an unlikely web of iron and stone through which the narrator, Griffin, recalls his youth. This metaphor, and its juxtaposition of human and artificial, will become central to the book. On the most basic level, Griffin’s thirteen-year old self seeks to connect with his divorcing parents, particularly his father who now interacts with Griffin, his mother, and sister as little more than a cranky landlord. The only way for Griffin to bridge the emotional distance seems his father’s work as an antique restorer and dealer, a profession which has become something like an obsession, a fixation on the glory of the city’s past. In turns quirky and cunning, naïve and knowing, achingly sad and subtly comic Gill conjures visuals that will fill your mind and family drama that will haunt you, a combination that leaves you longing to experience Griffin’s lost New York. This is a mystery about the ways in which infatuation with artifice can become such an obsession that we stop caring about things like love and family, ways in which if we’re not careful, we can become more like the stone artifacts Griffin and his father hunt than human beings. Sunshine State, Gerard’s follow-up to her debut novel, Binary Star, is an impressive, albeit uneven collection of writing. 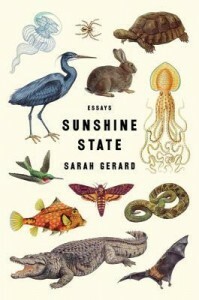 Though the book initially purports to be nonfiction, there are enough cautions scattered throughout to make us question that status, perhaps most notably the beginning of the piece “Sunshine State,” where Gerard states, “Characters in the following story are presenting their own versions of events and do not necessarily reflect the truth, which we may never know.” While these recurring cautions may leave you to question the book’s relationship with the truth, they’re not enough to keep you from continuing a generally engaging collection. Conscious as we are of Gerard’s talent and the resulting successes, it would be wrong to suggest this collection is without flaws. In addition to Sunshine State’s slipperiness in coming down on one side of the fiction/nonfiction divide, the final piece feels throwaway, disconnected from the rest of the book, its use of italicization drawing attention to what seemed to me a lack of real, fully-considered content. More even, the book’s dizzying reliance on footnotes was just too much for this sort of non-scholarly work. All that said, in Sunshine State’s best work—the opening essay, “BFF”, the title piece, and its follow-on, “Rabbit”—Gerard effortlessly covers vast amounts of emotional and intellectual terrain, doing so in a voice that’s smart and powerful overall, streetwise when necessary. Truly, few writers can manage to be this profound without becoming self-conscious or this affective without becoming overwrought. To accomplish both, with this much style, is indeed rare. Perhaps it’s just that Gerard sets such a high standard with her hits, that her misses are made even more obvious. 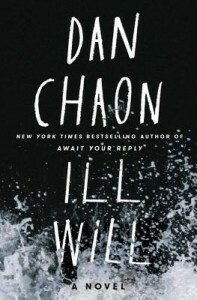 Dan Chaon’s latest novel isn’t a prototypical member of the “serial thriller” subgenre, a form made famous by Thomas Harris’s Hannibal Lecter books (and the critically acclaimed movies and television show they spawned). Far more adventurous in spirit, Ill Will combines elegant prose, manifold points of view, and contemporary family drama with the life-or-death tension, mystery, and suspense essential to serial thrillers. The result is a hybrid that succeeds not only as entertainment, but serious fiction. Satanism and sexual abuse, an unexplained killing in the past and an active serial killer (or killers) in the present: All these elements are at play, making Ill Will’s ground situation textbook in its topicality. Once engaged, though, the story flows more loosely than genre conventions normally demand, its movements guided by the thoughts of its narrators, main character Dustin Tillman and the people whose lives orbit his own. A poor man’s version of the brilliant criminologist archetype, Tillman is an idiosyncratic middle class character with a dark past, a historic debt (or, perhaps, debts) for which payment seems about to come due. 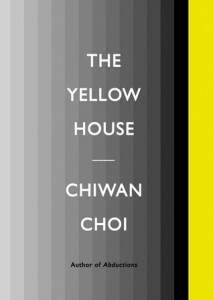 Looking past Chaon’s brilliant sense of story and the narrative fragmentation he uses to bring it to fruition, the most important questions asked by this narrative are philosophical, born of its title. Is there a sense, perhaps even a force, of malice ordering our world, robbing us of agency? Or do we reap the effects of our intentions, subconscious and inscrutable as they may be? These questions aren’t easy to answer nor are they mutually exclusive within the confines of the book, but they will determine whether readers see Ill Will as simply good or, in fact, transcendent. More than that, they will determine whether Chaon’s latest can reach beyond commercial and even mainstream literary success to contend for prizes with names such as Booker and Pulitzer. Humor and intelligence, postmodern attitude and radical candor—these qualities live, each of them, in Jami Attenberg’s writing. In concert, they create a distinctively enchanting literary voice, one Attenberg uses to lure her reader in, to keep him believing in the potential of a tale that seems comprised of slices from a pretty ordinary life. The contents of All Grown Up are deceptive though, even a tad magical in their cumulative effect; which is to leave the reader feeling wiser, somehow more in tune with the world, able to laugh at all but the most profound sadnesses, just as Attenberg does. Attenberg’s narrator is a semi-former artist named Andrea Bern. A New Yorker approaching middle age, Andrea looks back on the first half or so of her life, on her relationships with her parents, family, and friends. Anecdotes are the currency here, the chapters episodic, structurally reminiscent of short stories or even sitcoms. All Grown Up isn’t your average Thursday night in the drivel pen, though. Anything it gives up structurally is made up for with voice, insight, and a brilliant, darkly glittering conclusion that will leave most people near tears. Cutting and witty in its observations, provocative in its tone, All Grown Up reads like a dream. The writing itself is succinct, eloquent but never ostentatious, never taking away from the power of its voice. 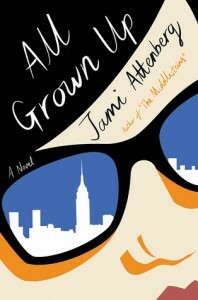 This was the first book I read by Jami Attenberg, but it won’t be the last. A polished, gifted writer Attenberg combines comedy, pathos, and incredible voice to create a tonic for readers weary both of literary pretensions and vapid escapism. Too accomplished to be simply upmarket, too enjoyable to be just literary, All Grown Up is its own near-perfect hybrid. Michalski’s second novel is a crisply written, emotionally taut study of a family reunited at their lake cabin after many years apart. Children grown, parents dealing with late-life health issues, memories haunt the novel’s narrator, Sam, alternately flaring and smoldering like her parents’ ubiquitous cigarettes. From the beginning, a family history of addiction, abuse, and darker things still dominates the book, creating a depressed mood despite bright surroundings. 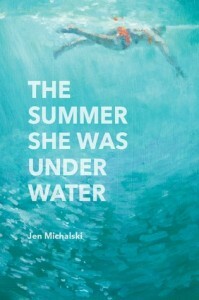 Arriving with her first, metaphorical novel in tow, both literally and figuratively—The Summer She Was Under Water alternates between Michalski’s narration of Sam’s lived reality and excerpts from Sam’s own novel—Sam hopes a reunion with her musician-junky brother will prompt a confrontation over the book’s contents, which include thinly veiled allusions to a sexual history they share. The Summer She Was Under Water is a quick, dark book, one in which life offers many questions, few answers. Lurking always are Sam’s memories of her brother Steve, memories that have come to dominate every aspect of her life, from her work to her relationship with her boyfriend, Michael. Both in terms of prose and dialogue, Michalski’s writing is vivid and true to life, perfect for a world in which connections to other humans seem tenuous, always one wrong word or action from being cut, perhaps forever.